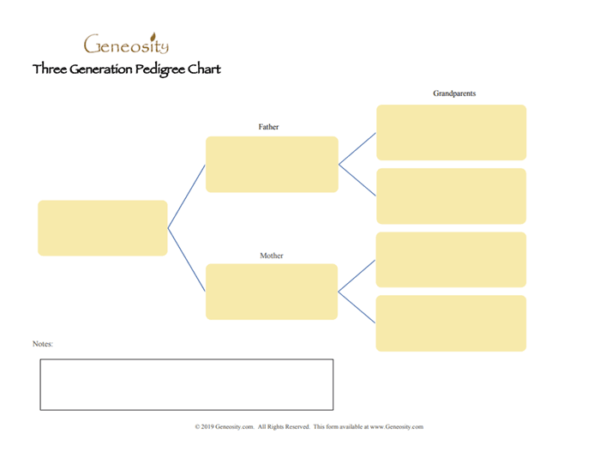 Below you’ll find our copy the the basic three-generation pedigree chart used in documenting members of your family tree. This form is useful for any type of family tree documentation. Many use these forms as a cover sheet for paper records. Students frequently participate in genealogy school project where a chart like this is handy. To the far left is the space for the youngest ancestor in the register. To the immediate right you’ll enter that individual’s parents and then grandparents. This chart provides ample space to enter whatever data that you would like to include. At the bottom of the form is a Notes box where you may add additional information. In genealogy research you can also include the individual’s record number in your master file. For a school project the student can include a short story or explanation for the information in the form. 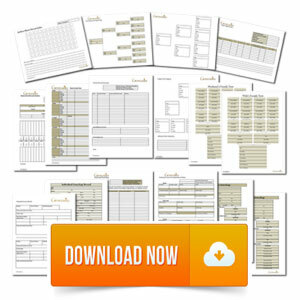 This document is in a print-friendly format and is ready for use!